African Expressions wanted to use stop-motion animation for an insert to be aired on Ontbytsake. A kykNet programme on DSTV. We created the stop-motion footage to show some of their products and to illustrate the DIY portion of the film. We also used hand drawn illustrations, animated in After Effects to tell the "story". We built a special rig to shoot the stop-motion which made the whole process pretty easy. Stretch Experiential Marketing came up with a wild, fun idea for a Fruttare activation. A travelling gig with some big time talent on-board. Port Elizabeth was fortunate to have the band Goodluck performing a gig which saw them pounding out the beats in Walmer Park and along the beachfront, ending at Hobie Beach. They are a definate "must see" act. We cut the images to "Trickery", a track off their new album "Creatures of the Night". When SAMIL Natural Fibres wanted to showcase their vertically integrated structure within the global mohair industry they commissioned Imágio Productions to produce a short film for them. The brief was to not only highlight company activities but to showcase the beauty of the Karoo region, Angora goats and commited farmers and their staff that make it all possible. From farm to yarn. TNPA wanted to highlight the role of female tug masters for National Woman's Day and commisioned Imágio Productions to produce two inserts. One in the Port of Port Elizabeth and the other in the Port of Ngqura. The interesting part of the insert regarding Olwethu Mtsewu is that we could not leave the quay side due to the engineer not being present so we used a slider to add the illusion of motion whilst filming. SA Rugby Magazine - Luke Watson Cover Shoot "Behind the Scenes"
SA Rugby Magazine commisioned Port Elizabeth photographer Sandy Coffey to shoot Southern Kings' captain, Luke Watson, for the cover of their April issue. We arrived at the WorkatPlay studio early to capture a timelapse of the set-up and to check what Sandy had planned for the shoot. Once Sandy had done her side of the brief we cornered Luke to ask him some pertinant, and not so pertinant, questions. Tavcor Volkswagen opened their new state-of-the-art dealership in Port Elizabeth on 22 August 2012. Instead of having speeches on the night the client decided to make use of video to convey the messages and keep formallities to a minimum. It was great to be a part of this "dream come true" event. Not only interested in selling cars the Tavcor Group has wonderful Social and Environmental projects that are not only groundbreaking but empowering as well. The Nelson Mandela Bay Business Chamber's Top 40 Under 40 is a showcase of dynamic young businesspeople who choose to build their lives, careers and businesses in Nelson Mandela Bay. Imágio Productions partnered with the chamber to highlight the experiences of 2011 Achievers to show the benefit of this initiative and to celebrate the contribution of a growing force of young people under the age of 40 who see Nelson Mandela Bay's own potential to support their career and business aspirations. 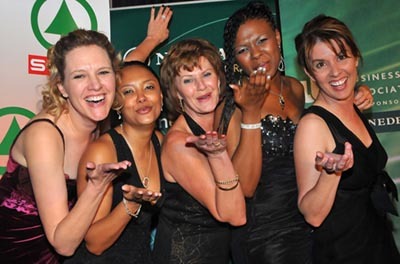 The Businesswomen's Association of South Africa have annual Regional Business Achiever Awards. Imágio Productions was proud to sponsor the finalist video interviews to be screened at the Awards Dinner for the Port Elizabeth branch. All 15 finalists were filmed in HD at the Shamwari Townhouse. It is always exciting to be involved in a project such as the RBAA as the talent being showcased is always an inspiration. This was the third year that Imágio Productions was involved as a sponsor. Video of the other finalists is available here. Datascope Consulting wanted to highlight the improvements and applications of it's upgraded Warehouse Management Sofware WMS4.0. Using the client's script Imágio Productions filmed at various locations in Johannesburg and Port Elizabeth to showcase the functionality of the software. All the animations were produced in AfterEffects. Imágio Productions has also created visually powerful PowerPoint presentations for Datascope Consulting. Volkswagen South Africa have a programme which tours a few universities in South Africa to explain the field of Automotive Engineering to students, SOPAM. 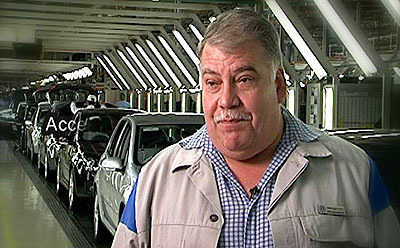 Imágio Productions produced a video to be screened during the programme to highlight the changes that have taken place at the Uitenhage plant and globally within the Volkswagen Group. This production also serves to highlight the commitment of Volkswagen South Africa to its Graduate Trainess. The management and directors of Volkswagen of South Africa have an annual Management Conference. Imágio Productions was commissioned to produce video content for a number of presentations. 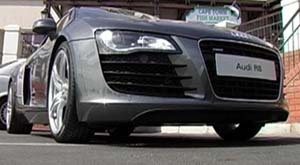 This involved shooting a variety of content, from cars, production facilities, training and interviews to illustrate operations and programmes underway at the plant in Uitenhage, the marketing offices in Midrand and at some dealerships in Gauteng. One of the projects required that 28 managers be interviewed for feedback on a number of Leadership Programmes that they had experienced. Another was to highlight a number of empowerment initiatives that have been embarked upon by the company, to the benefit of staff and motor dealers. Volkswagen of South Africa are also having a positive effect on the South African automotive industry with their local content initiative which has seen a number of component suppliers building facilities in the region. This has resulted in over R 1 Billion in supplier investment. The Port Elizabeth Branch of the BWA held their Regional Business Achievers Awards on Wednesday the 18th of June at the Boardwalk Conference Centre. The winner's were were chosen from three finalists in each category. See a video of the winners here. We decided to go and see what the Charity Network Lunch at the Cape Town Fish Market was all about. Kathleen was kind enough to tell us all about the lunch, in aid of Reach for a Dream, and about the people there. The kids were really excited about the prospect of experiencing the awesome Audi R8 that was there courtesy of Tavcor Audi. The food was great, the vibe was good and the event well organized. The only problem that I had was that I did not win one of the lucky draw prizes, but such is life. See the video of the function here. This is the third year that we have worked on the MIss PE Gala. We provided all the graphics and video for this glittering annual event. This included repackaging sponsor video material, creating sponsor video and graphics, using photographs of the finalists, to be used at the event. Miss PE is not a beauty pageant but a pageant with a purpose. 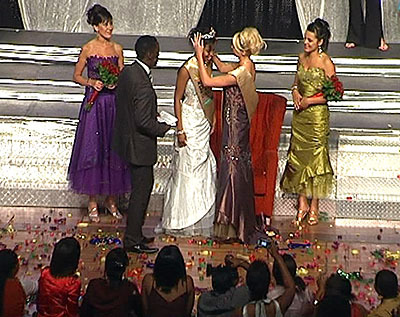 Each year one young lady is chosen from the multitude of entries to represent Port Elizabeth. She essentially becomes the face of Port Elizabeth for the year of her rein. The pageant also has strong ties to various charity organizations with each finalist paired up to represent a particular charity and assist in raising funds for that charity. See our interview with Nobathembu. This is the most recent medical workshop that we have done, and the second with Prof. van der Walt. These workshops are set up in such a way that a large audience can gain the full benefit of being "in theatre" with surgeons that are leading their field. 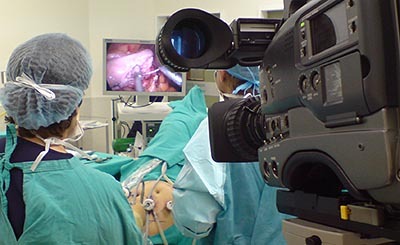 Not only do the participants get to see and hear everything during the procedure, but they also have the ability to ask questions while the surgeon is operating on the patient. The largest one that we undertook was for the Gastro Conference held in Port Elizabeth during August 2006 where about 150 delegates were able to watch three gastric bypass procedures. Imágio Productions provided all the equipment and personnel, in conjunction with Magnetic Storm®, for the DSTV broadcast of Billy Nel's (MEC Provincial Treasury) budget speech. Due to the upgrading and refurbishment of the Eastern Cape Legislature building this sitting of the house was held at the Good News Church. This venue was actually better suited to a broadcast and the staff at the church were really fantastic. A regional model and fashion design competition held annually in Port Elizabeth. This is a collaboration between the Nelson Mandela Metropolitan University (Fashion Design Department) and the Weekend Post. This has led to the almagmation of two major events on the PE social and academic calendar, namely Faces of the Future, a model hunt competition, and the annual NMMU Fashion Department fashion show to showcase the young talent being produced. In addition to creating all the supporting graphics, model and designer bio's and sponsor video material repackaging, we provided a live multi-camera production for the gala finale. This was used for live screen projection during the event and for recording thereof. View a short video of the event.